You’re reading novel Chaotic Sword God Chapter 565: Mistaken Identity online at LightNovelFree.com. Please use the follow button to get notification about the latest chapter next time when you visit LightNovelFree.com. Use F11 button to read novel in full-screen(PC only). Drop by anytime you want to read free – fast – latest novel. It’s great if you could leave a comment, share your opinion about the new chapters, new novel with others on the internet. We’ll do our best to bring you the finest, latest novel everyday. Enjoy! Kaizer flew out of the crowd while holding a giant hammer over his head. A streak of blue light was created the tremendous amount of water attributed Saint Force spilling from the hammer as it flew at Dugu Feng. Coming to a stop, Dugu Feng stared expressionlessly at the figure coming at him. Without looking at Kaizer himself, a burst of fire suddenly exploded from his body. It coiled around him with a sweltering heat that raised the temperature of the surrounding area. 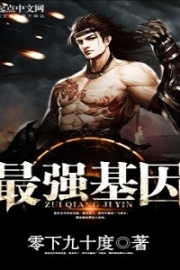 With the blaze burning all around his body, Dugu Feng looked as if he had transformed to become a G.o.d of fire. With his right hand held out, Dugu Feng clenched it into a fist, forcing the fire around him gather around it. With a swish of his hand, a ball made of fire immediately shot at Kaizer. The two attributes of opposing nature clashed against each other in mid-air with a loud explosion. The area gave a heavy shudder as the energy from the blast ran through it like an earthquake. Some of the bystanders were even forced back a step. Loud gasps of shock could be heard everywhere as they stared at Dugu Feng in a new light. To be an Earth Saint Master in Fengyang City was to be one of the best. Respect was to be expected, and all other powers within the city would have to make way for one. Only a trifling four Earth Saint Masters lived in Fengyang City, and each one of them were leaders of a major power. When “Wu Yun’s” strength had been revealed, many of the men who were presumptuous enough to want to attack him had immediately gave up that notion. An Earth Saint Master was not a power they could afford to mess with. With both hands clasped behind his back in a leisurely position, Dugu Feng merely stood with an empty expression in front of Kaizer. In his eyes there was a glint of a sneer and disdain. He didn’t know who this “Wu Yun” was at all, but he wasn’t an idiot. Connecting the thoughts with the strange plan Jian Chen had, he quickly made a rough guess that the person the man in front of him was talking about was Jian Chen. Kaizer’s words had delivered yet another wave of shock to the people around him. Each and every one of them knew just how arduous and bitter it was to breakthrough to become a Heaven Saint Master. If it would take the ancestor of the Harido clan just twenty years to become a Heaven Saint Master, that bit of information was simply unbelievable to hear. The Blue Wind Kingdom was in a decline now that they had lost several Heaven Saint Masters in the recent war. Only four of them were left, and if the Harido clan were to add one more to that number, then becoming one of the top five would not be implausible for them. “What!? Two Heaven Tier Battle Skills! ?” Kaizer had immediately gone slack-jawed as he stared at Dugu Feng in disbelief. Waves of emotions flowed from his heart like a series of tidal waves. Heaven Tier Battle Skills were extremely spa.r.s.e. Even the strongest major powers of the Blue Wind Kingdom didn’t own any Heaven Tier Battle Skills. Dugu Feng’s words had not only caused Kaizer to be stunned, but also the people around him. Each one of them had gone blank in the face. With everyone talking to one another, they were all convinced that Dugu Feng didn’t have a Heaven Tier Battle Skill. As Kaizer finished speaking, everyone around him joined in conjunction with eyes that seemed to ridicule Dugu Feng. Dugu Feng only smile coldly from where he stood. Looking behind Kaizer, he took notice of Jian Chen, Ming Dong, Tie Ta, and You Yue. They had just exited through the VIP entrance. Jian Chen had not spoken in a loud voice, but when he spoke, everyone had clearly heard his words. They turned to face him and the other three. Kaizer turned to look at Jian Chen. When he saw the handsome face of his, his eyes widened as he thought back to the Wu Yun of two years ago. Jian Chen’s face changing ability had fooled the eyes of many in Fengyang City, but he had still been forced to escape from the city using the wells and the pa.s.sageways below. As a result, the herbs he had used to change his facial appearance had been completely washed away, allowing Kaizer to see Jian Chen’s true face. Everyone was shocked once more when they heard what Kaizer had said. Looking at Jian Chen with bizarre eyes, none of them had ever expect to hear that they had nearly picked a fight with the wrong person. With Jian Chen himself confirming who he was, everyone else had no other choice but to accept it. They had found the wrong person; this man who had sold the two Cla.s.s 5 Monster Cores was not the same Wu Yun as two years ago. With that, the man waved his hand and two dozen of his men surrounded Jian Chen so tightly that not even water could escape. Studying Jian Chen’s group, Kaizer could only detect the strength of Tie Ta and You Yue. Ming Dong and Jian Chen on the other hand had completely hidden their presences. They made it so Kaizer had no way to determine their strength. However, Kaizer still hadn’t thought the two of them to be a threat. They were young after all, they shouldn’t be a match for him no matter how strong they were for their age. Kaizer sneered, “Wu Yun, you’ve arrived at a good timing, I’ve nearly made ill with the wrong person.” Whirling around to face Dugu Feng, Wu Yun hesitated for a moment before cupping his hands together. “Dear brother, I mistook you for another. I hope you forgive this sin of mine; perhaps in the future when there is time, please come to Loess City and have a seat with my Harido clan.” If this person in front of him had been Wu Yun, then Kaizer would have killed him without thinking of the consequences. After throwing Wu Yun off a cliff two years ago, the hatred between the two would never be washed away without one of them being killed. With him mistaking the wrong person, Kaizer had immediately felt apologetic to this Earth Saint Master. The Harido clan would view an expert like this with high regards. You're reading novel Chaotic Sword God Chapter 565: Mistaken Identity online at LightNovelFree.com. You can use the follow function to bookmark your favorite novel ( Only for registered users ). If you find any errors ( broken links, can't load photos, etc.. ), Please let us know so we can fix it as soon as possible. And when you start a conversation or debate about a certain topic with other people, please do not offend them just because you don't like their opinions. You're reading Chaotic Sword God Chapter 565: Mistaken Identity. This novel has been translated by Updating. 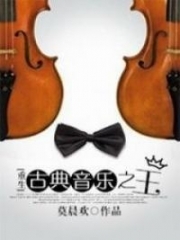 Author: Xin Xing Xiao Yao already has 11086 views. Current Time is Apr-22-2019 18:21:51 PM.